We started working with AGC Instruments, and their headquarters are based in Shannon, Co. Clare and they also have an office in Beijing, China. AGC Instruments is a leading European manufacturer of Gas Chromatograph & Gas Analyser Solutions for use in a wide range of industrial and laboratory-based environments. AGC Instruments is a recognised expert in the development and provision of leading-edge Total Gas Analysis Solutions. Through their Global Network, they provide their clients with quality analytical solutions of the highest performance. 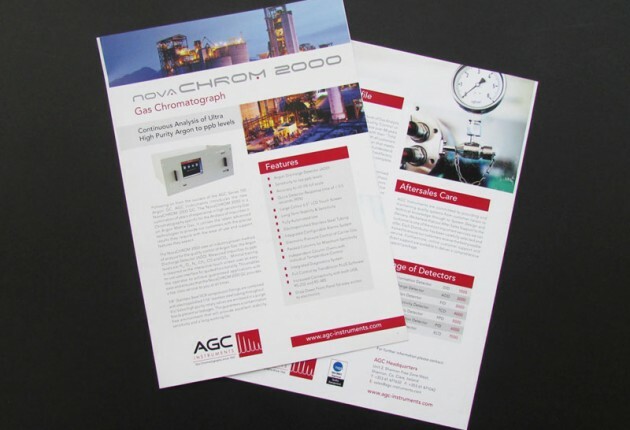 AGC Instruments manufactures a range of analytical products, including Gas Chromatographs, Process Gas Chromatographs, Total Hydrocarbon Gas Analysers, Binary Stream Gas Analysers and Food Gas Analysers. In 2013, we were delighted to start working with AGC Instruments. 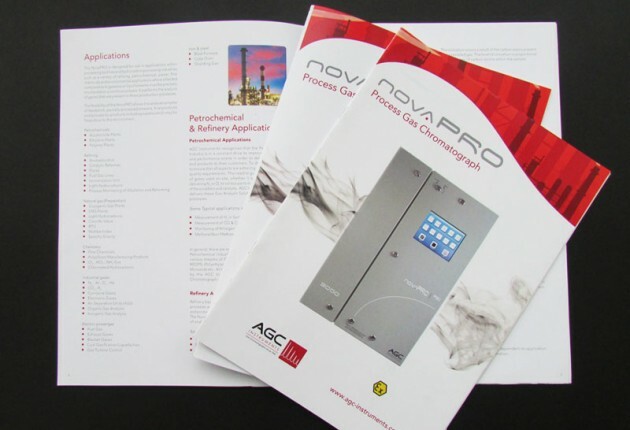 We worked with the team to design new product brochures for products such as their NovaPRO Process Gas Chromatograph and NovaCHROM Gas Chromatographs. These product brochures are clean and corporate in style as they contain highly detailed specs. It is great to know that these brochures travel as far as Dubai and China for exhibitions and are helping the team to sell these fantastic new products. We work with the team on their ongoing design needs including their new ezine. Log onto www.agc-instruments.com for further details about this Shannon based company.